My dog really loves this play duck. She has me throw it in the house and outside. She fetches and brings it back to me each time. When she gets bored, she will bring it to me in her mouth which means playtime for her, and I guess for me. It makes me very happy to see her happy. At night she will bring it to bed with us, and sleeps with either her paw on it or have it next to her body. I have purchased several of these toys just to have standing by because she likes them so much. I highly recommend this toy and would purchase more, as the need arises. This toy is pretty great. Usually my dog tears them in a few days, but this one has already passed a month and it's still intact. 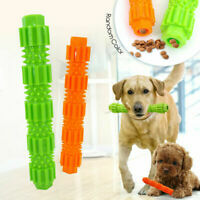 My dogs love these toys! Well made with good materials. Just what my dog wanted. 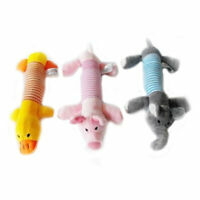 Soft, whole, squeaking and throwable. Good quality, just what pictured. Smaller than I thought, but good value for money. Recommend! 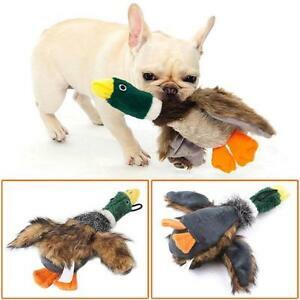 Bought 2 of these ducks for my 2 dogs, they love these toys! They are very lifelike, which my dogs love! Great quality too!